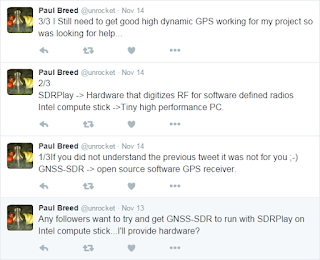 I responded and Paul provided an Intel Compute Stick, RTL-SDR stick with a 1PPM TXCO and the bias tee mod and an active antenna. It was my job, then, to make it work in parallel with Paul's investigateions. 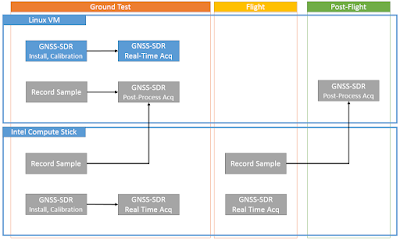 The initial concept is simply to record the GPS L1 frequency through flight and post-process position-velocity-altitude after the fact. 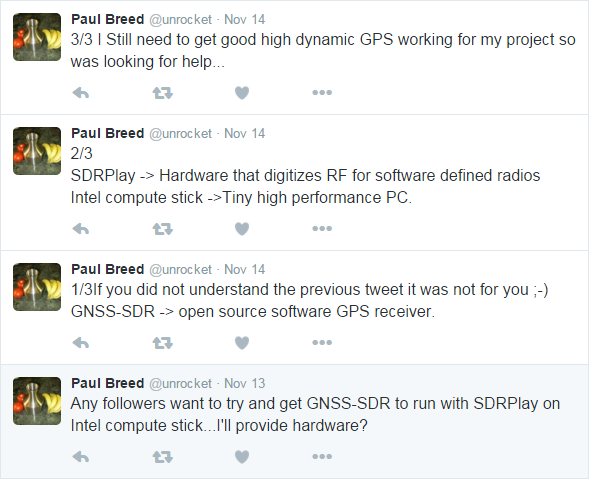 This would let Paul work out kinks in the hardware ad give us data to play with to tune GNSS-SDR's tracking loops to work in the high acceleration environment. 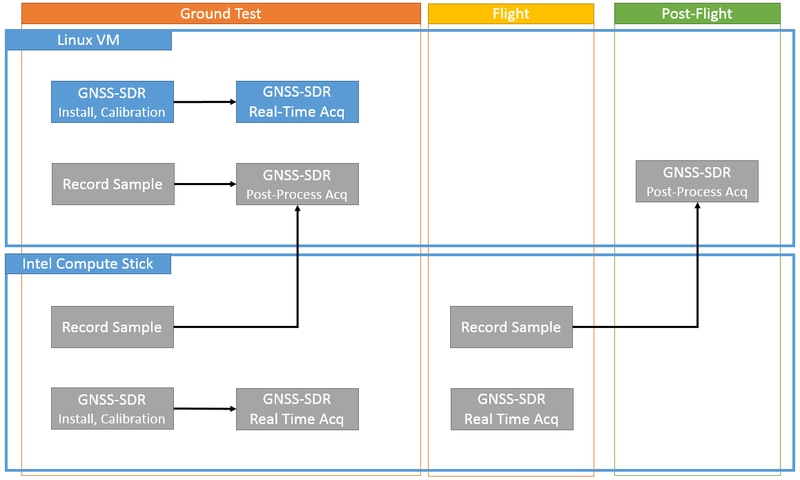 Eventually, it would be useful to do this in real time on the rocket. Dark blue steps are complete. 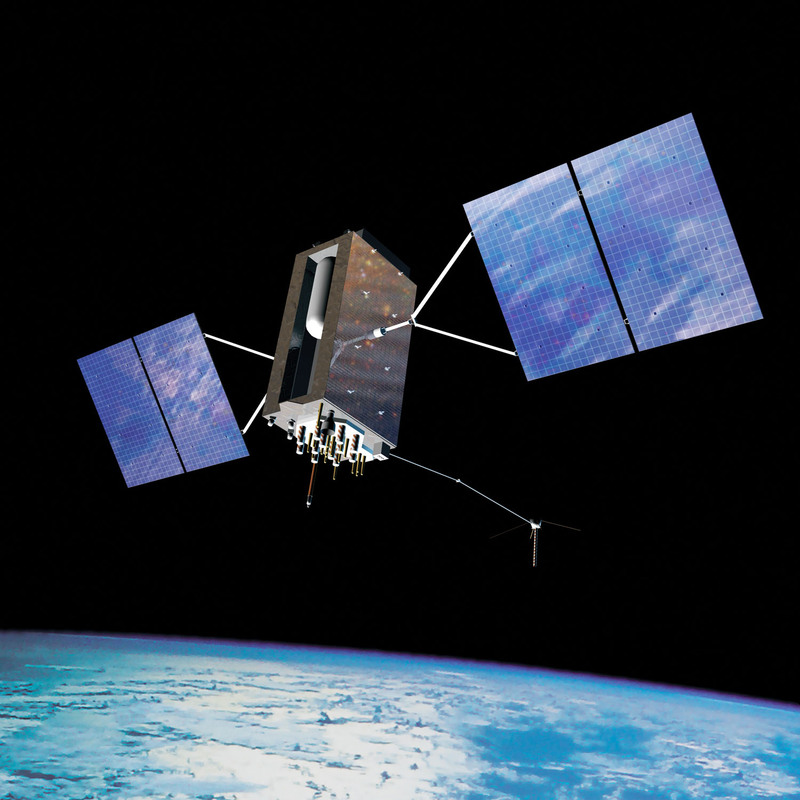 Help is welcome - I'm learning GNSS-SDR but if you know GNSS-SDR and can provide a few answers via email I'd love to hear from you!